In the world of blogging and content, WordPress is one of the most popular and easiest tools to use. With the benefits it provides, it’s no wonder why it has gained the popularity it has today. WordPress is cost effective because owning and maintaining a WordPress site is very affordable. WordPress can also be updated anytime, can be integrated with different online tools, and has a responsive web design. WordPress might be useful in more ways than one, but because many are already using it, you should adopt different search engine optimization (SEO) strategies for your WordPress site to gain more traction online. You can use site SEO as your leverage to stand out in the World Wide Web. Choose the right theme: Your theme or the overall look of your WordPress site can make or break your SEO rankings. If you use a theme that’s too complicated, making it hard for online users to read content, your site SEO rankings will never improve. In fact, all of your efforts to write and publish high-quality content will be worthless. 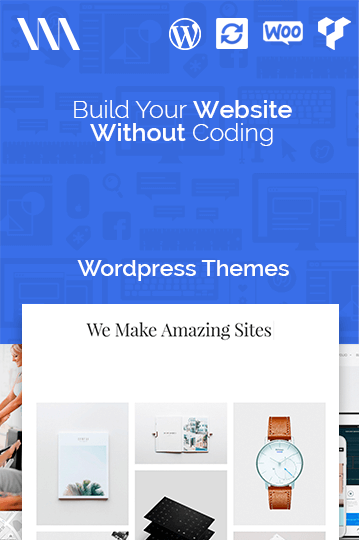 If possible, use a theme that’s simple but doesn’t compromise the quality of your WordPress site. Look for a theme that allows fast loading of your site, improves user readability, and is easy to use. When you ticked these off your list, users will have more reasons to stay in your site for a long time, which will improve your Google search engine optimization results. Optimize SEO plugins: Making your WordPress site land on the first page of search results will come easily once you use SEO plugins. Today, there are a wide variety of plugins to choose from that encourage you to add meta description, meta title, and keywords, among others. These plugins even offer overall SEO solutions for any WordPress site. Scout for your SEO plugin options, assess which are best suited for your WordPress site, and slowly adopt these plugins on your WordPress site. The more you know how these SEO plugins work, the better you can optimize them for your SEO rankings. Strategically use media: Undeniably, media is an important part of your WordPress site. However, how or where you use media can either ruin or improve your SEO efforts. If you want to experience the latter, be careful on how you name your images. Don’t just name them for the sake of doing it. When you properly name the images in your WordPress site, you’ll have better chances in ranking high in the image searches. While it can be tempting to upload an image in your WordPress site and then use a complex name for it, don’t do it. All of the tags you use for your images should be relatable and relevant to your target audience. The simpler these words are, the easier it is for them to look for you online. Make your content shareable: Producing high-quality content that’s relatable to your target audience can help you rank high. After all, content is king in SEO. However, if you want to take it up a notch, work in making your content shareable. In your WordPress site, provide social media sharing buttons such as Facebook, Twitter, LinkedIn, and Instagram. These buttons will make it easy for your target audience to share content from your WordPress site, which will bring several benefits. You’ll experience increased traffic and better exposure for your WordPress site. Add fresh new posts on a steady basis: Using a WordPress site isn’t a one-time task. You can’t expect that your site SEO rankings will skyrocket just because you have a WordPress site. For you to achieve favorable results, you have to pour in time and effort in maintaining your WordPress site – and adding fresh new posts regularly is a good start. Once you determine who your target audience is, produce content suitable for them and stick to a publishing schedule. Decide if you’ll do it once, twice, or thrice a week. Doing this will give you a high rank on Google. Switch to a responsive design: Using a desktop computer in browsing the Internet might be a common practice, but this is slowly changing – all because of technology. Today, more and more people are using their mobile phones and other handheld devices when using the Internet. If you want to cater to this target audience and adapt to the trends of the industry, create a WordPress site that has a responsive design. It should be accessible and should contain the same features, regardless of the device being used. Utilizing a WordPress site might help your business grow, but with the competition getting tougher by the minute, it’s no longer enough. Keep in mind that you’re not the first or only business that uses this platform. If you want your WordPress site to be known for all the right reasons, consider using different SEO strategies. Whether you’re a newbie or veteran in using a WordPress site, SEO will help you out in getting the results you want. This can be the solution so you can finally gain traction online.